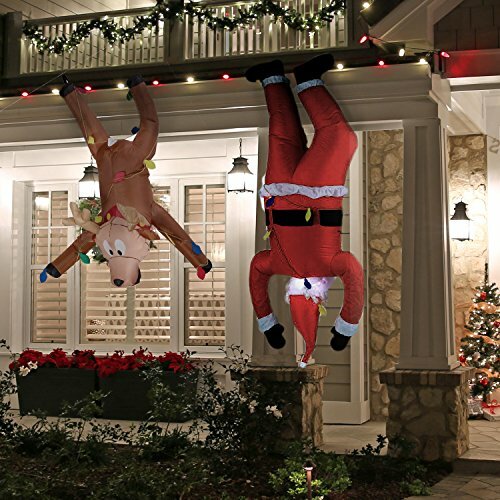 This is a set of two Hanging Decorations. Santa and Reindeer. Let these fellows bring the Holiday Joy and Presents to your home this Christmas! Very Unique and Fun look that kids will absolutely adore. Great addition to any party or get together! Christmas is coming soon! Santa's brought his presents! !